Keep careful records for estimated taxes to avoid costly penalties. 1. What Happens If You Don't Pay Quarterly Tax Installments on Time? If you lose track of how much you've paid and when, you can get this information through the Internal Revenue Service website. Generally you are required to pay your taxes throughout the year through a mix of withholdings from paychecks and other payments, and make quarterly estimated tax payments to cover any difference. You are generally required to make estimated tax payments, if necessary, by four deadlines in the middle of April, June, September and January. The dates often fall on the 15th of each of those months, but they can shift later by a day or a few days due to weekends and holidays. There are several ways to pay estimated tax payments. 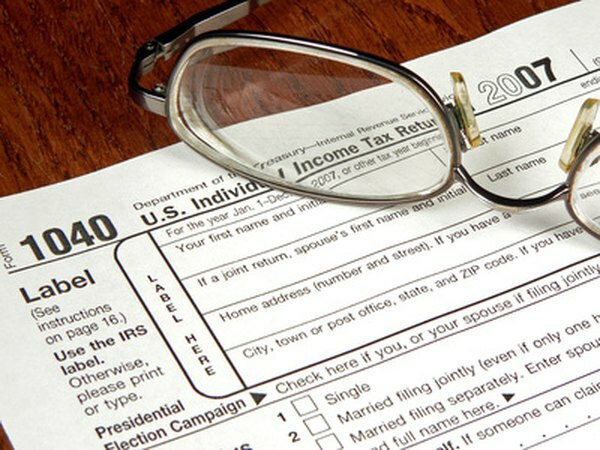 Traditionally, taxpayers used Form 1040-ES to make estimated tax payments, filling out the form to compute how much tax to pay and mailing it to the IRS with a check or money order for the amount due. That option is still available, but many taxpayers now prefer to pay digitally. However you pay, you'll generally want to write down how much you paid during the year and keep any documentation you receive of your payments. You'll need to know how much estimated tax you paid when you file your annual tax return. There are several options for ways to make an IRS estimated tax payment digitally. You can use the IRS Direct Pay system to make a direct payment from a bank account. You can also use a separate system called the Electronic Federal Tax Payment System to make payments online or over the phone. You can also use third-party credit card processors to pay by credit or debit card, generally for a fee. If you mail a check or money order to the IRS, it's often a good idea to send the payment via certified mail with a return receipt requested. That will give you a record that you mailed the payment before the IRS's mailing deadline. Additionally, if you receive a canceled check or bank statement confirming your payment, it's a good idea to hold on to that for your records. If you pay online or by phone, you'll generally receive a confirmation number, which you should hold on to for your records. If you paid online, you may wish to print, save or screenshot any screens, emails or IRS payment receipts confirming your payment. If you pay by credit or debit card, you may wish to hold on to statements documenting your payment. If there's any question about how much you paid, you can use any of those records to confirm that you made a payment. If you misplace your records, you can also get records from the IRS payment portal of how much you've paid in tax in this year and prior recent years. If you used the electronic system, you can access up to 16 months of records online or by calling customer service. You are generally only required to pay estimated tax in certain circumstances and to cover a certain amount of tax owed. Specifically, if your quarterly estimated tax payments and withholdings don't cover either 90 percent of the tax you must pay for the year, or 100 percent of your tax for the previous year, and you owe more than $1,000 to the IRS, you can be required to pay an additional penalty. Many states with income tax also have estimated tax payment requirements, so check with your state's taxing authority if you're not sure if you are required to pay estimated tax there. For the 2018 tax year, estimated tax payments are due by April 17, 2018; June 15,2018; Sept. 17, 2018 and Jan. 15, 2019. You can pay early and even pay multiple times throughout a quarter, but if you don't pay enough by the deadline, you may face a penalty. For the 2017 tax year, estimated tax payments are due by April 18, 2017; June 15, 2017; Sept. 15, 2017 and Jan. 16, 2018. Sign up for the Electronic Federal Tax Payment System for a free and easy way to schedule future payments and have easy access to payment activity. Always print copies of Form 1040-ES when you mail a check payment, and file with your other tax receipts for the year so the information will be easily accessible when filing your tax return. The IRS penalizes taxpayers who underpay estimated tax payments. You need to pay 90 percent of your current year tax, or an amount equal to 100 percent of the previous year's tax, through timely estimated payments. File Form 2210 to determine whether you owe a penalty and how to calculate it. Can I Not Pay Federal Taxes for a Few Months? Can I Get a Tax Refund With a 1099 Even if I Didn't Pay in Any Taxes?